Charlo, NB. 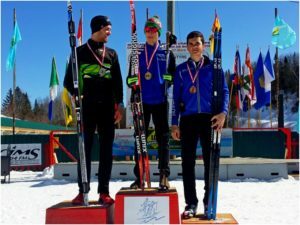 Canadian National Biathlon Championships have traditionally marked the end of the race season and this year Charlo, New Brunswick was the host venue for the event. CBR sent a team of 8 athletes to Nationals with Tynan Thorogood and Finn Berg competing in Senior Boys category, Calista Burke racing in Youth Women, Christian Pazdan in Youth Men while Kieran Goldhawk, Chad Berling, Sergey Bochkarnikov and Adam Runnalls battled in Junior Men. It was Tynan’s debut as a member of Team Alberta this year and it was great to see him compete in his first ever National Championship. He managed to put together some solid results over the course of the tournament with his best a 14 place finish in the Sprint. Finn had a few butterflies in the early going, but found his usual steady touch as the event went on having raced well in the relay and finishing 2nd in the individual only to be denied the podium due to disqualification as he lost his focus briefly in the heat of the moment. 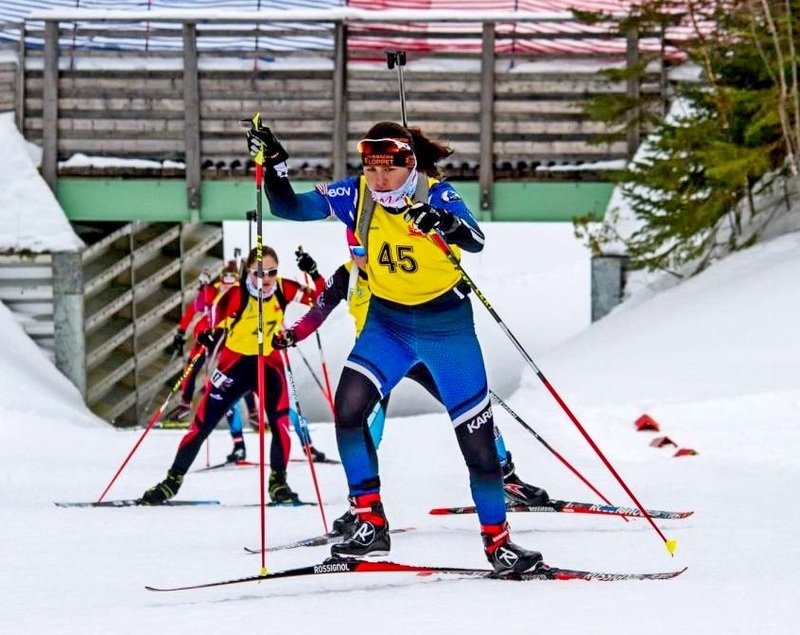 Calista was representing her home province, NWT, and represent she did finishing solid 7th in the Sprint and adding another strong performance in the relay. Individual race on Sunday was a bit of a challenge on the range, but the speed on skis was her best effort this year. Sergey pushed through the challenges on the range and seemed to have found his legs after the first race to place in top 7 in each of the races at the Championship. Kieran’s consistency at these championships was quite noticeable as he put in a skillful performance in each of the races without any “drama” on the range or the race course. Kieran and Sergey also teamed up with Calista to form an all CBR team for the relay and did quite well. Chad teamed up with Adam and Megan Bankes of BATC/National Team to win Gold in the relay competition, which he added to a Bronze medal he had won in the Sprint event a few days prior. Adam went on a tear and claimed wins in all 4 events in Charlo. A truly inspired performance, well done! 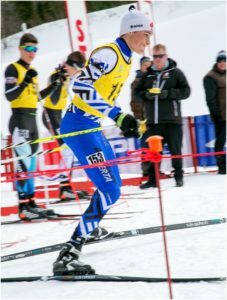 Calgary Biathlon Racers would like to thank Biathlon Alberta and its General Manager Jordan McGuire as well as Team Alberta coaching staff for the support they provided at Nationals, it was a great pleasure to be a part of our provincial team. 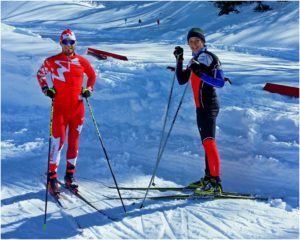 We are also very grateful to Macx Davies, Scott and Christian Gow for offering to help our athletes with ski testing, providing ski technique and race tips. You can find the race results from 2018 Nationals HERE.